The most dominant figure in all history, a person who claimed to be God, died 2000 years ago as an amazing act of love so that you could have peace with God. What does that mean? Yes Jesus Died For You by Manser, Martin H. was published by CLC in June 2014 and is our 23574th best seller. 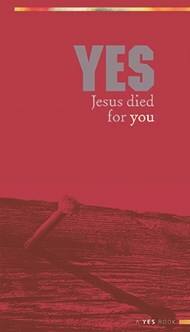 The ISBN for Yes Jesus Died For You is 9781909680111. Be the first to review Yes Jesus Died For You! Got a question? No problem! Just click here to ask us about Yes Jesus Died For You. Author / Artist Manser, Martin H.